Sometimes proving that someone else was negligent requires more beyond just the facts of the case. In those instances, your lawyer may retain an expert witness to provide their special knowledge to assist with proving your claim. While jurors will most likely consider the facts of the case first and foremost, the opinion of an expert can help sway them in a close case. The expert has certain credibility that comes by way of their specialized experience. Their testimony can help frame the case for a jury so that they can have a clearer picture of what the issues are. In other words, they can provide clarity on some issues that are hotly contested between the two sides at trial. Since they are not a party to the incident that led to the controversy, they can portray themselves as a neutral observer. 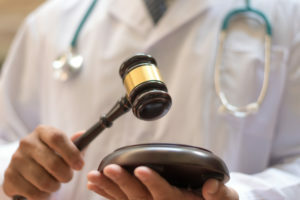 In a personal injury trial, a plaintiff will have to prove the other party did not act as a similarly situated reasonable person. However, the standard of care that a reasonable person would exercise is a matter of debate at trial. This is where an expert witness can help. Injury attorneys will call them to explain how they would have acted in a certain situation. For example, if they were a doctor, they would testify how they would have addressed a certain medical circumstance. Your lawyer will have done an intensive investigation of your case by the time it has gone to trial. However, the jury will likely take everything that your lawyer says with a grain of salt since it is the advocate for one party. However, while an expert is hired by one party, there is the perception of some sort of objectivity that will lend credibility to the expert’s own investigation or analysis. This can buttress the case that a lawyer is attempting to make and help you win in court.